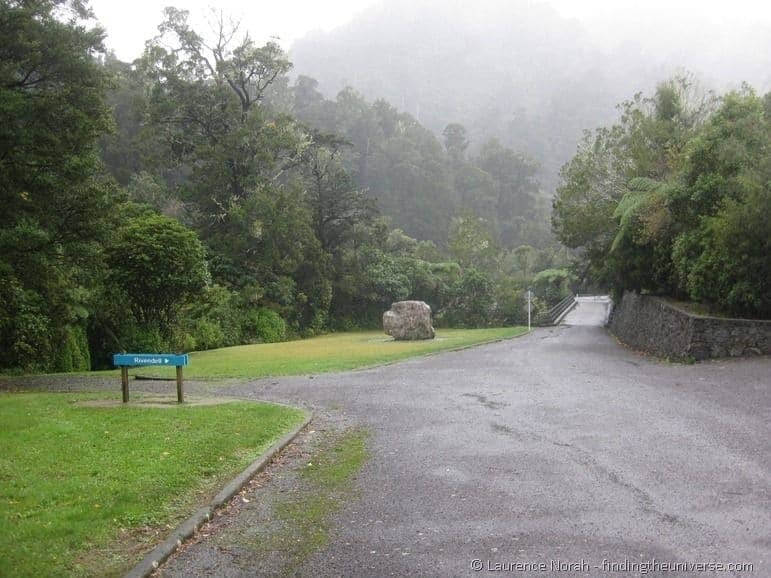 You may think, having read some of my posts on exploring the world of Tolkien as it has been realised in New Zealand, that the filming locations from the three Lord of the Rings films are treated as sacred, almost hallowed ground. You probably imagine that domes have been carefully placed over the sites in question, hermetically sealing the environment so that it can be preserved and enjoyed by countless future generations to come. Well, you may not think that. But what you may not have realised is that, quite often, my quest to find these locations is somewhat stymied by the passage of time, or the progress of man, or the fact that stuff was filmed on private land which the owners have no interest in opening up to geeks like me. Other times, the quest is easy, but the outcome is not quite what one expected. Here are some examples from the past few days to explain a little further what I mean. 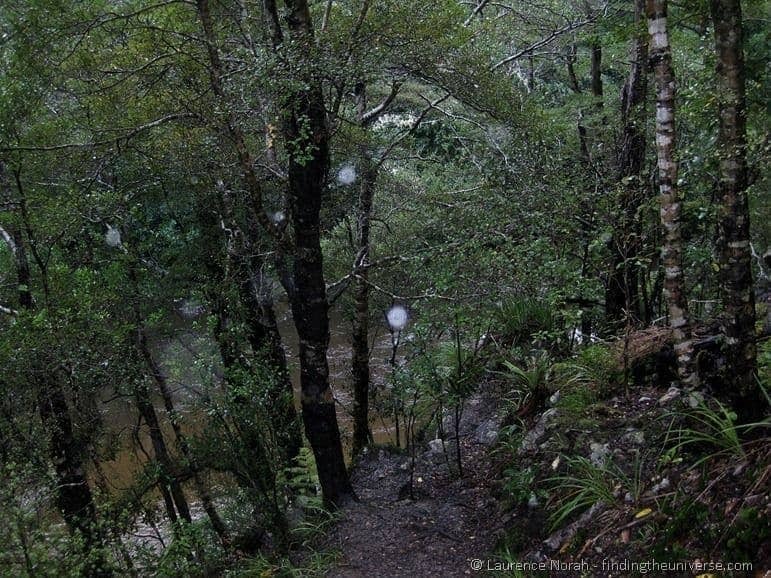 Just North of Wellington, my road atlas (which also for some reason unknown to me, marks nearly every LOTR filming location) explodes in a frenzy of little markers indicating that scenes took place in the area. This makes some sort of sense – the main studio is located in Wellington, so local countryside would be the most logical choice for as many scenes as possible. Unfortunately, the road atlas is not totally accurate, what with it being at a general road user scale rather than a precisely accurate hobbit locating scale. This is fine – at least they made the effort – and for big old chunks of scenery like Mount Doom it works brilliantly. Sticking a label on a mountain is, after all, easy. Marking off a section of river that was used for an obscure scene however is a bit trickier, particularly when the size of the icon used to do so takes up roughly the same amount of space as a small town. Luckily, because I am a geek, I have done my best to overcome this problem with the aid of a list of GPS co-ordinates that have I obtained from the internet. Sadly, this hasn’t really helped much as often the GPS co-ordinates are of a similar ilk to the map – i.e. you know you are at the approximately correct area (give or take a few kilometres), but the actual filming location is not revealed. I believe there is a solution to this problem, which involves buying a book listing all the major film locations accompanied by, I think, more precise GPS co-ordinates. This seems far too easy however, so I am persevering with my current tactics. driven around countless suburbs of a small town North of Wellington in order to fail to find an Orc tree. passed awfully close to the lake that Deagol found the ring in (private property that one, so I was stymied). peered at the River of Rohan and also Anduin, both of which were long stretches of river which, quite frankly, could have been water anywhere. driven past an electrical sub station which used to be a quarry which was used to film some Helms Deep and Minas Tirith Scenes. 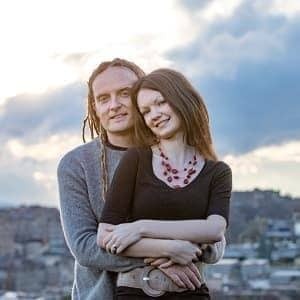 An interesting series of experiences certainly, but not any that brought me closer to Tolkien. Rivendell, I can happily report, was a more positive experience. 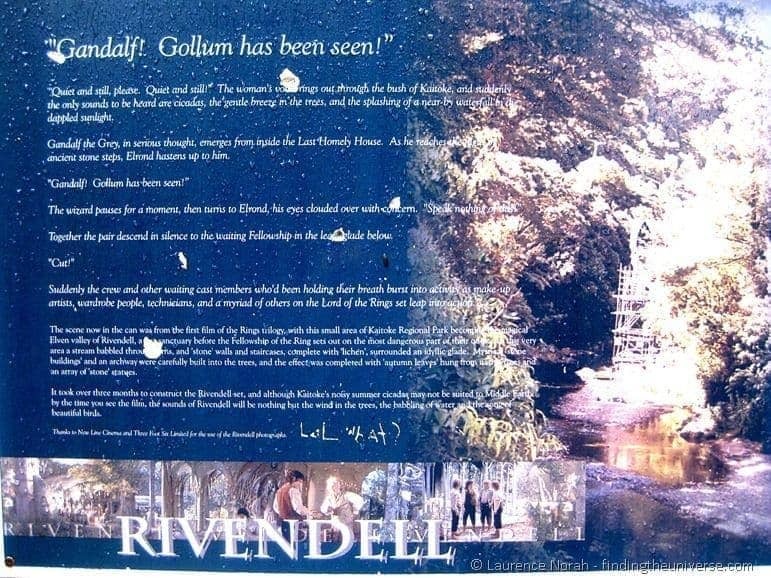 For one, there are actual signs from the road indicating that Rivendell is nearby. GPS and map be damned, signs are the most useful thing in these sorts of situation. If you’re searching for Rivendell, you’ll find these signs north of Wellington, off State Highway 2, in the Kaitoke Regional Park. You’re welcome. As well as road signs, there is an actual information panel, with quotes from the film, and information on what exactly was filmed in the spot. Which, it turns out, is a rainforest, with, well, lots of rain. So that vision I had of Rivendell with countless cascading waterfalls, sunny patio and gaily dancing hobbits was replaced by a largely damp meadow and some wet trees. I suspect that there was once a pretty awesome set here, but as the filming contract stipulated that everything had to be returned to how it was found, this is no longer the case. The passage of time has erased any evidence of what happened here, and other than the sign and the knowledge that you are in the right place, this wasn’t a tremendously elvish experience. I can’t win them all. Some of my Lord of the Rings based experiences in New Zealand so far have been incredibly satisfying, with the climb up Mount Doom and Hobbiton being real highlights. 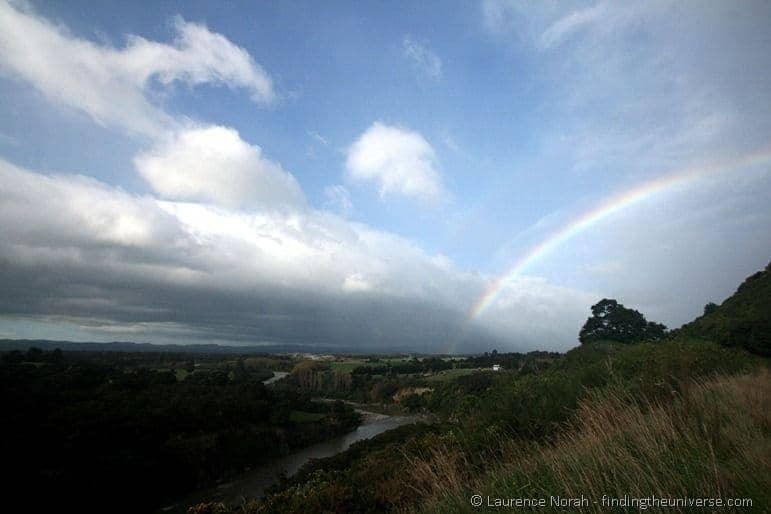 In fact, check out my post on my three favourite lord of the rings filming locations, to see where I enjoyed visiting the most. Hopefully, the massive success of the first three films will mean that the new hobbit films may actually be allowed to leave some evidence behind, or some more signs, or well, something more than the current situation. I hope so anyway, so future fans coming through can see how New Zealand was turned into Middle Earth. In the meantime, I will continue to seek out as many more locations as I can, and hope to strike lucky in the future!